CISUR is leading a national study of Managed Alcohol Programs in Canada. This project will rigourously evaluate MAPs in Canada and generate insights into their implementation and effectiveness. The results of this research will be used to reduce unintended negative consequences of MAPs and inform the development of program and policy recommendations. Read about recent CMAPS findings published in Drug and Alcohol Review. In Toronto, a managed alcohol program (MAP) was initiated following a coronial enquiry into the freezing deaths of problem drinkers who had been denied access to shelter accommodation. Emulated in four other sites, MAPs involve the provision of accommodation alongside controlled access to alcohol to replace non-beverage alcohol and reduce heavy drinking episodes for individuals otherwise resistant to abstinence treatment. This harm reduction approach is increasingly being considered in Canada as a response to the harms of unstable housing and severe alcohol problems that have not been responsive to abstinence-based treatment. Related motivation is to encourage reduced use of non-beverage sources of alcohol such as methylated spirits, rubbing alcohol, hand sanitizer and mouthwash. These programs still attract scepticism and controversy. This project aims to provide a rigourous evaluation of health and social outcomes for 200+ program participants across five Canadian MAP sites in comparison with 200+ similar individuals drawn from nearby non-MAP agencies. Benefits, potential harms and best practices will be investigated by accessing health and police records, conducting brief interviews monthly for up to two years and in-depth interviews with clients and program staff. Findings from our initial evaluation of the Managed Alcohol Program (MAP) in Thunder Bay indicated that the objectives of the program to reduce harm and improve quality of life for MAP program participants were being met. This success was evidenced by the overall pattern of improvement in formal indicators related to housing, mental and physical well-being, reductions in alcohol-related harms, decreasing non-beverage alcohol (NBA) use and more stable patterns of alcohol consumption. Further, the observed substantial reductions in hospital admissions and times in police custody indicate substantial economic savings for the local community. The MAP participants reported reductions in rates of police contacts, hospital admissions and detoxification admissions of between 40% and 80%. There was also a reduction of NBA use and, although some use did continue, it was at a lower level. An overarching achievement of the program was the creation of a safe and stable environment reported by participants in both qualitative and quantitative data. This was striking and stands in sharp contrast to the harms this population is exposed to on the street. The safety and stability provided by the program also enabled many participants to reconnect with family members and have greater feelings of self-worth and well-being. Further detail on the findings of this evaluation are available in two journal articles published in Harm Reduction Journal (see "Resources" tab). This MAP site also forms part of the Canadian Managed Alcohol Program Study (CMAPS) currently underway. Data collection for Phase I has been completed in six sites with 175 MAP participants and 189 controls recruited. Eighty MAP participants and staff across the programs have completed qualitative interviews. Access to police, health and death records has been secured for all sites as part of the follow-up comparison planned between MAP participants and controls with similar profiles. The MAP Community of Practice is well established with webinars and teleconferences alternating each month to share learnings and best practices as well as exchange of research findings and ideas. We are now in Phase II of the research with a specific focus on additional data collection and analysis that will allow for a larger sample, longer term follow-up of participants and controls to determine effectiveness. As well, we are undertaking specific qualitative analysis of implementation issues and the development of Indigenous led research in collaboration with Indigenous partners. To date, we have established an Indigenous Advisory Group and relationships with Indigenous partners interested in MAP programs. Canadian Institute of Health Research Partnerships for Health System Improvement grant Phase I, July 2014 to March 2017 and Phase II April 2017 to March 2019. This includes funding from the Michael Smith Foundation for Health Research. Vancouver Coastal Health and the Centre for Addiction and Mental Health are contributing additional funds. Finding safety: A pilot study of managed alcohol participants’ perceptions of housing and quality of life. Harm Reduction Journal (2016). Do managed alcohol programs change patterns of alcohol consumption and reduce related harm? A pilot study. Harm Reduction Journal (2016). Exploring Nurses’ Perceptions of a Managed Alcohol Program at an Acute Care Hospital. The Canadian Journal of Addiction (2019). Research into action? The Eastside Illicit Drinkers Group for Education's (EIDGE) experiences as a community-based group in Vancouver, Canada (Commentary). Drug and Alcohol Review (2017). Shelter-based managed alcohol administration to chronically homeless people addicted to alcohol. CMAJ (2006). A managed alcohol program (MAP) is a harm reduction approach aimed at preventing some of the harms of severe alcohol dependence, often for people experiencing chronic homelessness or housing instability. 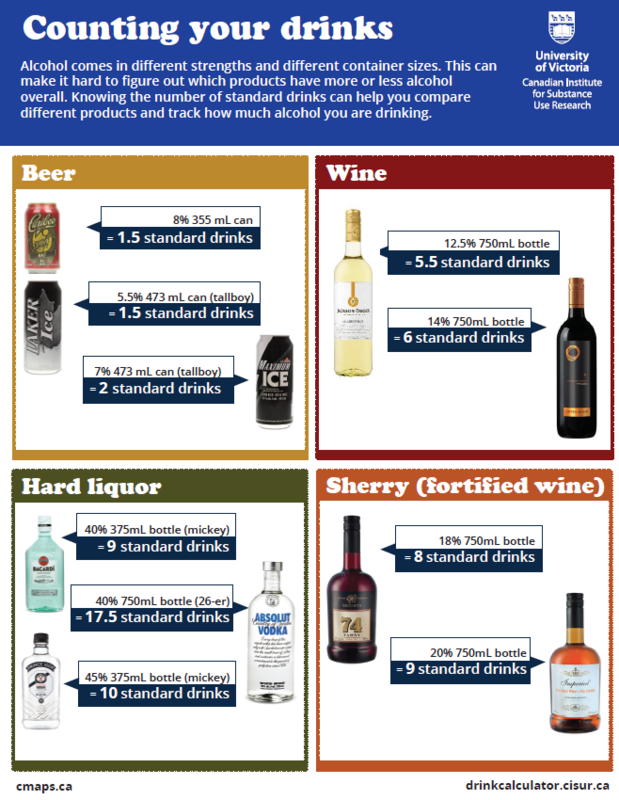 In a MAP, tailored amounts of beverage alcohol are provided to participants as a means to reduce harms related to alcohol use and replace non-beverage alcohol use. These small doses of alcohol are usually dispensed to the participant at regular intervals throughout the day. 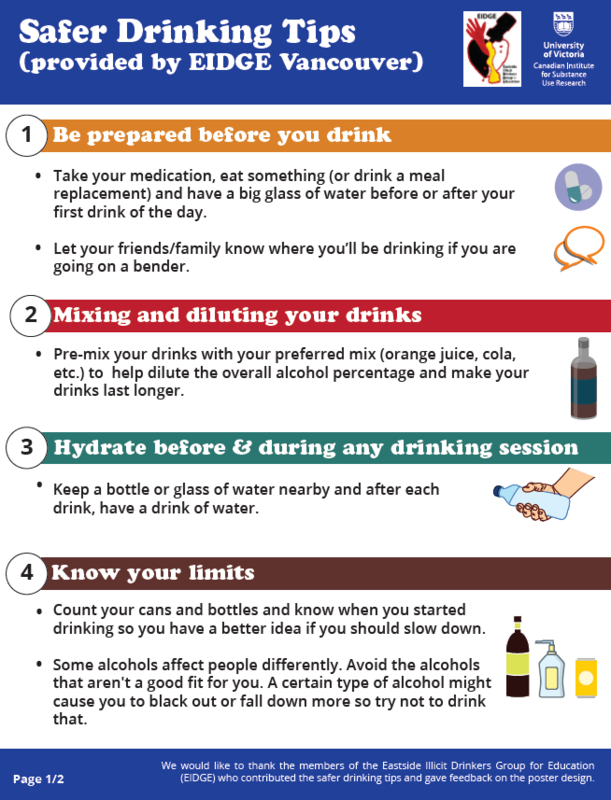 By providing smaller doses of beverage alcohol MAPs participants have the opportunity to safely stabilize or reduce their alcohol consumption as well as to replace non-beverage alcohol (e.g., mouthwash, hand-sanitizer, hairspray) with less harmful beverage alcohol. In Canada, most MAPs are incorporated into residential programs like shelters, supportive housing and long term or residential care. In recent years MAPs have opened in non-residential settings like drop-in centres and hospitals. How did MAPs in Canada get started? MAPs have been operating in Canada for over 20 years. Seaton House in Toronto is recognized as one of the first MAPs in Canada. It was established as a result of a public inquiry into the freezing deaths of three men who were homeless and whose drinking had prevented them from accessing adequate shelter (Svoboda, 2009). As with many cities, Toronto did not have shelters or supportive housing that allowed continued alcohol use. Most MAPs, including Seaton House, were created as a way to address service use barriers related to alcohol use and protect this population from the harms, including severe injury and death, associated with consuming alcohol in street based settings. What are the objectives of a MAP? “social” comprising problems relating to housing, relationships, employment, finances, and crime (Rehm et al., 2001, p. 1418). Many MAP participants have experienced a range of harms related to alcohol use and alcohol withdrawal. These harms are compounded when the majority of drinking is occurring in potentially dangerous street-based settings. What is alcohol harm reduction? Alcohol harm reduction recognizes that abstinence is not achievable or appropriate for everyone and helps address the acute, chronic and social harms associated with drinking alcohol. MAPs are designed with an overarching alcohol harm reduction approach to health care and service delivery. There are a variety of models that inform the design and implementation of MAPs. Many programs are based within Housing First models that employ both housing and alcohol management as primary interventions to reduce alcohol-related harm. Some programs are led by people with current or lived experience of street drinking (peers). Other programs are led by Indigenous organizations and perspectives, or work in partnership with Indigenous organizations to provide opportunities for participants to connect with cultural practices and ceremony. Are there different types of MAPs? Currently there are over 15 known MAPs across Canada. Each program is unique and created to address the needs of their specific communities. All 15 MAPs can be categorized as residential, non-residential or hospital-based. MAPs help stabilize a person’s alcohol consumption so they can focus on other areas of their health and well-being. Residential MAPs are programs that have a shelter or housing component that is connected to the MAP. Most Canadian MAPs are incorporated into residential programs like shelters, supportive housing and residential care. Non-residential MAPs are stand-alone programs. These programs are not associated with a specific housing program and only operate during the day. Non-residential MAPs are connected to other services and often help members access housing and social service supports. Hospital-based MAPs are established in conjunction with medical professionals who recognize that, in some cases, providing alcohol to patients while in hospital could help facilitate their care. Hospital-based MAPs are able to offer MAP support to those who may also require more intensive medical care. Detoxing from alcohol while in hospital can be dangerous. If a patient is already enrolled in an existing MAP or will resume alcohol use as soon as they are discharged, it might not be beneficial overall if they must cease alcohol use during their hospital stay. Participants in hospital-based MAPs are individually assessed to see if these services are suitable for their care plan. In some cases, hospital-based MAP supports may be delivered directly through a specific “in-hospital” MAP and in others non-hospital-based residential and non-residential MAPs may be able to provide MAP supports on a temporary basis for participants while in hospital. Please view our MAP registry for more details on each of the MAPs. What populations do MAPs serve? MAP participants are people who experience severe alcohol dependency and in many cases years of chronic homelessness or housing instability. Many MAP participants have tried and failed at other methods of alcohol treatment or have not been responsive to abstinence-based treatment (e.g. detox, rehab, AA). Alcohol dependency can be a serious condition that in some cases can be fatal. These risks are compounded when the majority of drinking is occurring in potentially dangerous street-based settings. Do MAPs provide alcohol to participants? Yes, MAPs dispense alcohol to participants. The numbers of drinks delivered in a MAP is based on the individual needs and goals of each MAP participant. For example, some participants may get one standard drink hourly and others maybe get one and a half standard drinks every ninety minutes. Some participants may also start their dosing earlier in the morning depending on the severity of their alcohol withdrawal symptoms. In some cases participants may request that their number of doses be reduced or watered down with juice for a period of time. Overall, most MAPs offer up to between 12-15 standard drinks of alcohol per day (Ramsperger & Ramage, 2017) dispensed by program staff. Prior to receiving each dose of alcohol, MAP participants are typically assessed by staff to avoid over-intoxication. Most MAPs provide beer or wine, although participants may contribute to alcohol costs through a program fee or bring in their own alcohol to be dispensed through the program. The Canadian Managed Alcohol Program Study (CMAPS) is a research project funded by the Canadian Institutes for Health Research (CIHR) Partnerships for Health System Improvement grant. CMAPS Phase I ran from May 2013 to June 2016 and Phase II began in July of 2016 and will continue until March 2019. Additional funding for CMAPS has been provided by the Michael Smith Foundation for Health Research, Vancouver Coastal Health and the Centre for Addiction and Mental Health. In phase I, CMAPS aimed to provide a rigorous evaluation of health and social outcomes for 200+ program participants across five Canadian MAP sites in comparison with 200+ similar individuals recruited from nearby non-MAP agencies. Benefits, potential harms and best practices will be investigated by accessing health and police records, conducting brief interviews monthly for up to two years and in-depth interviews with clients and program staff. The results from phase I are currently being analyzed. Study results and publications are available on the CMAPS website. The Community of Practice: The CoP is for service providers or practitioners currently working in a MAP or for other stakeholders interested in learning more about MAPs or who are interested in starting a MAP in their community. CoP resources and activities include a listserv, webinars, roundtable discussions, and the MAP website hosted by CISUR. There is also an Indigenous-focused CoP running parallel to the main CoP. Qualitative interviews: The CMAPS team interviews current and past MAP participants in a number of sites across Canada as well as MAP staff on a range of topics pertaining to program operation and implementation. Areas of investigation include the benefits and challenges of MAP, program rules, protocols and policies and the impact of MAP on various aspects of life. Please contact the CoP Coordinator if you are interested in learning more about the qualitative methods or accessing the CMAPs interview guide. Our research protocol has been approved by the University of Victoria Human Research Ethics Board (protocol #13-002) as well as upwards of 30 additional institutional ethics boards across the country. If your community has a MAP or is starting a MAP and you are interested in doing an evaluation please connect with our CoP coordinator to learn more about our research protocols. The project includes a collaboratively-driven and goal-orientated action-learning community of practice (CoP) component that brings together researchers and knowledge users from across the country to share knowledge and develop expertise around the practice of MAPs. The CoP consists of synchronous learning activities including a virtual seminar series of webinars (see "Resources" tab) involving leaders with direct experience in MAPs and virtual roundtable meetings involving researchers and practitioners. A key function of the CoP is to promote discussion of current evidence as well as protocols and best practices for managed alcohol programs. If you are interested in becoming involved in our CoP, please email the coordinator. You can also view/subscribe to our e-newsletter and join our listerv. There are over 50 additional co-investigators, knowledge users, collaborators, students and community partners working with us on the study.